Cabin Coaches also provides each customer with the exact kind of minibus or coach to suit their travel needs. If you would like to book your minibus or coach from this minibus contract hire company, then you can contact it by completing an online enquiry form at its website. You can also visit the company’s office a 1 Parsonage Close Hayes Middlesex UB3 2LZ and you can phone the company on 020 8573 1100 or 020 8573 8604. If you want to, you can also contact this company by sending it an email. 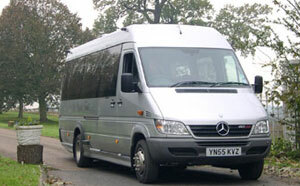 Lemon Express is a minibus contract hire company that offers a few very special deals. This leading London based minibus contract hire company offers chauffeured minibuses for hire in all parts of London including North, South, East and West as well as Middlesex and Herefordshire. You can travel in any one of the company’s minibuses to any part of the UK. Lemon Express owns a diverse range of minibuses that you can choose from. To contact this minibus contract hire company you will need to fill their online enquiry form or you can call 0845 60800 80 and you can also send an email to the company. Apex Car Rental specialises in providing flexible rental options for rental periods of 28 days and multiples of 28. The company also provides high quality minibuses and other vehicles for hire and does in fact have more than three thousand vehicles to choose from. Despite all the uncertain economic conditions that are prevailing today, this company has managed to grow in size and stature. If you are looking for the best minibus contract hire services, then get in touch with Apex Car Rental which offers a number of very tempting deals. You only need to pay 389 GBP for 28 days for which price you get to drive away in a diesel nine seat Transit Tourneo short wheel base minibus. You can contact Apex Car Rental in one of several ways. You can, for example, visit their office at 61 Cavendish Place Eastbourne BN21 3RL or you can call it on the phone by dialling 01323 745 444. You can also use the company’s online email link to send it an email.